OPI - The one nail brand that I cannot live without! OPI is the number one salon brand nationwide and I totally understand why. The brand is my holy grail of nail care. From my love of the packaging, the formulations, the colours, to the way that Nail Envy makes my flaky, thin nails grow longer, thicker and better. I have loved this brand for over a decade and you will never see me without a bottle stashed in my car, handbag or bedside table. 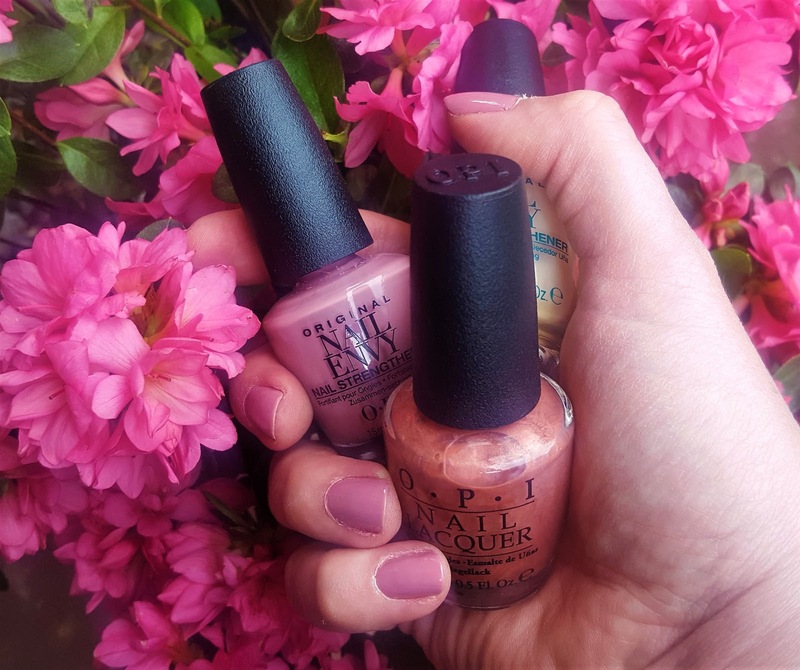 My love affair started way back when QVC first ever came onto British TV - my mum purchased a kit from OPI, and that's how I knew about the brand. A few trips to the states later when I was at secondary school; and I saw just how popular OPI was in the States. I haven't got the best of nails, like my mother - my nails are not my most strongest of attributes. BUT, if you use OPI correctly, your nails will become better, and stronger. No more acrylic nails for me!! My first love is Nail Envy, painted on its own over bare nails, it simply drip feeds your nails with nutrients. You paint on Nail Envy once every other day, then once you get to the end of the week, you simply remove all of your polish with non acetone nail varnish remover and start again. I use Nail Envy as both my bottom base coat, and my top coat over colour. Even colours from other brands, the formula simply sinks through whatever polish you are wearing and penetrates the nail. Like everything in life, if you persevere with OPI Nail Envy you WILL see a difference to your nails in just a few weeks time. Top Nail Envy off with a lovely hand cream at night time for extra nutrients, and you will see your nails transform. 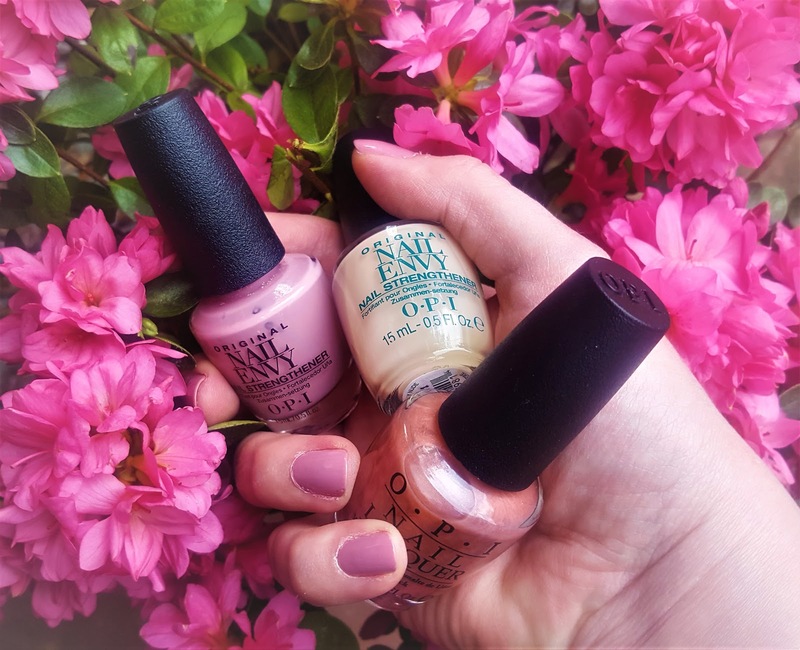 Back years ago Nail Envy only came in it's clear formulation but now you can get it in Matte, Clear and also (my personal fav) Nail Envy colours!! The one shade of Nail Envy that I CANNOT live without is Nail Envy Hawaiian Orchid, which I am wearing in the photo above. It's a pinky /mauve shade that goes with everything and even though each bottle from OPI is 15ml in size this bottle has lasted me months. When it runs out, I will buy more. That's just how much I adore OPI! 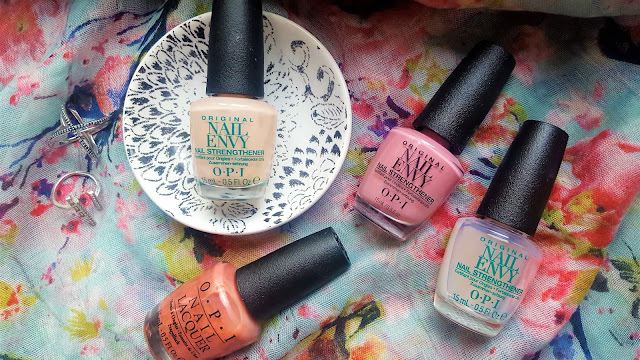 My tip for the best kits from OPI is to buy from QVC (The Mothership) not only do they sell limited edition lacquer shades, they also offer the best value kits and limited edition shades that you cannot buy anywhere else. I hope you enjoyed this post? Let me know in the comments if you love OPI as much as me. I haven't used a lot of OPI's polishes, I've always been a Essie girl but now you've got me wanting to try them out.